"For me it was about achieving the impossible," says Strel, who used to be a guitar teacher. "Like Hillary, to reach top of Everest." 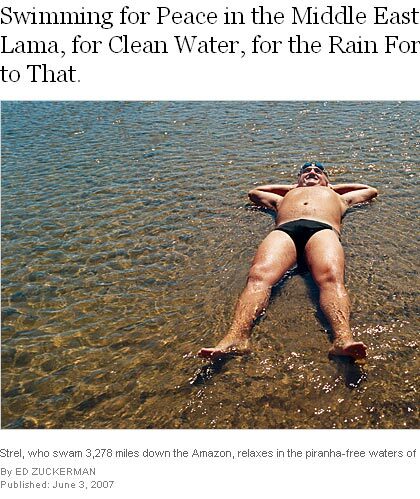 The New York Times Sports Magazine - PLAY has published a feature article about the Amazon Swim. here to read the scan of the magazine.